First up, you obviously need to measure – which I know is a little confusing on where to measure. But it’s really going to depend on where you want to wear your belt most of the time. If you want to wear it around your belt loops (like this), measure where most of your jeans hit. Remember to keep in mind the style you tend to wear. If you wear high-waisted pants more often, measure that area. If your jeans hit lower, measure closer to your hips. I tend to wear higher waists like here, so I measure a bit higher – basically between my belly button and the small of my waist. 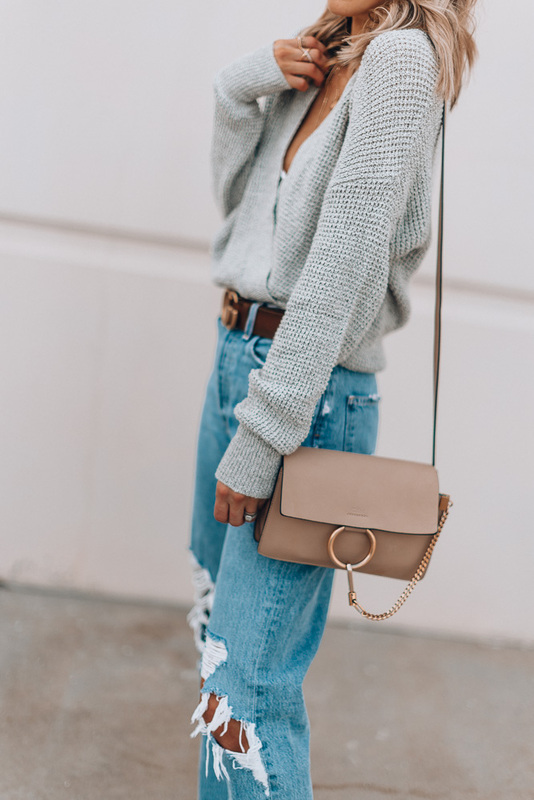 If you want to wear it higher, like over cardigans, jackets or dresses (like this), measure the small of your waist when you have a piece of clothing on.